Taken by Neil Leifer, one of, if not the most, famous sports photographers of all times. Location? The St. Dominic’s Arena in Lewiston, Maine. Date? May, 1965. I don’t think this would have been the same picture in black and white, and indeed many were taken. Just look at the photographers looking at Ali’s back. The one that stood out through time was this one. Red, the color of power, catches the eye. It holds the eye. The surrounding whites and blacks are the perfect complimentary shades. It pops. Red has that effect. Can you imagine the same image but with blue gloves? It would have completely altered the emotion. Green? Yellow? No. Only the way it is does it portray the emotion that you and I feel. It was shot with the Ektachrome film, on a Rolleiflex. It would give a square image. 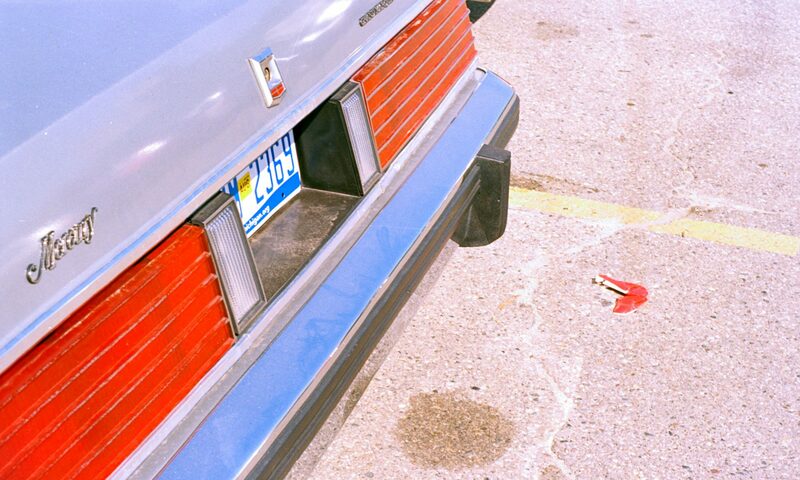 Instragram back in the day, wow! That’s why the framing is next. Perfect. Absolutely perfect. Ali, who in between the first and the second bouts with Sonny Liston had changed his name from Cassius Clay to Muhammad Ali, stands tall, looking down at Sonny Liston. He is screaming “Get up and fight”, it would be recalled. The fight lasted only a past a couple of minutes. To this day there are numerous stories on what might have happened and if the result had been fixed. The “Phantom Punch” they would later call it. Had Ali really hit Sonny? As Leifer says in an extensive interview (here) the positioning was key. And then there is the lighting. The white reflections on Ali’s marble statue looking figure. The eye goes to the lightest part of the image. And are you not drawn to the reflection on Liston’s body on the ground and then to the photographers in the background, and then to Ali’s shorts and to end up fixed on his gloves? Does the lighting not have that deep impact, separating the scene from the blackened background? Well, yes, all of that, but the colors. The colors make the photo. The white shorts for the champ, the black ones for the contestant, as it used to be. Elegant, simple, noble. Not like the chains of gold and platinum that we see nowadays. Maybe that’s why I’m so romantically in love with this photo, and this period. Or maybe because it’s Ali’s great social stance and courage. Agree or disagree with his choices, we cannot disagree that he stood up for what he believed in. And yes, I do agree that he had “no quarrel with them Viet Cong”. Ali’s legendary stature also makes the photos a classic. Leifer speaks about this in his interview as well. He admits that an image can become glorious with the context. 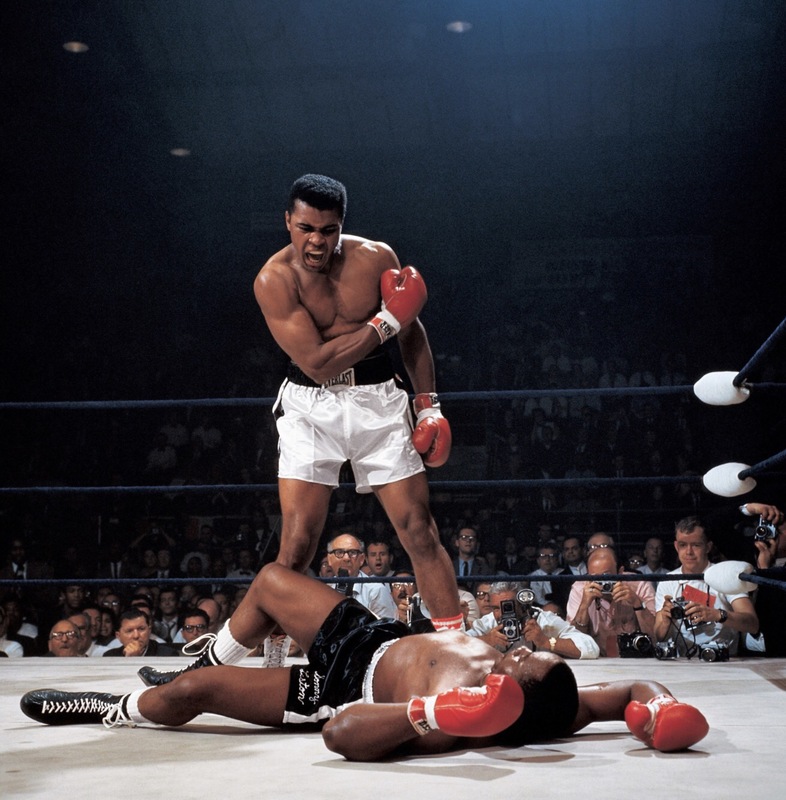 This photo didn’t run as the cover image, but with time Ali’s monumental character helped in growing the image’s reputation. Had it been another boxer? Mike Tyson? Still an amazing shot, don’t get me wrong. But would it be that amazing? The shot that captures and tells history all at once? I don’t think so. Maybe, just maybe, when he bit Holyfield’s ear? The story comes afterwards. A scene draws you in. Or a fleeting moment is magically caught. But time will add depth to the image. It will provide the context that you cannot see immediately. It is the one element in photography that we all must wait for. And while we wait, color. Previous PostPrevious Work it. The Scene.